The month of May was filled with some absolutely huge, beloved, and successful films, from Captain America: Civil War to The Nice Guys to Neighbors 2: Sorority Rising. We’re continuing to tear through Summer 2016, however, and we’re ready to flip the calendar page and dive head first into June’s lineup of blockbusters. Get ready for Teenage Mutant Ninja Turtles: Out of the Shadows, Popstar: Never Stop Never Stopping, and Me Before You. Can a franchise have a renaissance if it was never that good to begin with? The Teenage Mutant Ninja Turtles look to put that question to the test with Teenage Mutant Ninja Turtles: Out of the Shadows, the second movie in the rebooted series. As a pre-teen, I saw the original Teenage Mutant Ninja Turtles in the theater and even at the time thought, "Man this is corny." 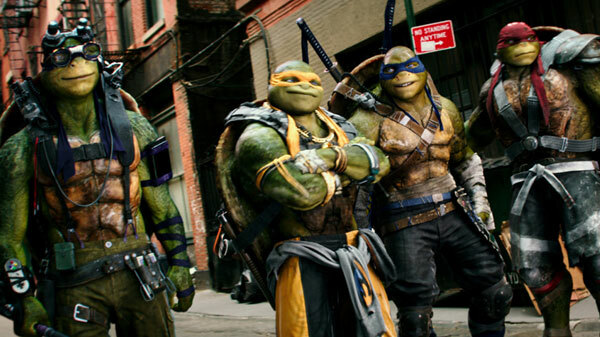 (I was 12) Now they are back as part of the modern kid culture with a second movie in this new-look TMNT. It’s kind of unreal. I mean these are radioactive, martial arts turtles in live action. Yikes. The first movie in the franchise re-up, Teenage Mutant Ninja Turtles bombed with critics, and wound up with a 22% Rotten Tomatoes score - but because it seems we are still headed toward Idiocracy at warp speed, it grossed about a half a billion in box office sales. So of course there’s a sequel. I’m sure kids will eat it up faster than Donatello and company put down a pizza. But critics? Nah, this one finishes right around the first one. I’m actually embarrassed to tell you how many times I’ve watched the trailer for Popstar: Never Stop Stopping. You’d seriously question how much free time I have on my hands and about my general station in life. And yet, there I am, clicking it again mostly to just hear the quote, "It takes a village... to make me look dope." Andy Samberg just kills me in just about everything he does, and this movie doesn’t look like the exception. Sure, it won’t be for everyone, but the send-up of the mockumentary about popstars is ripe with limitless material. I suspect this plays well to a broader audience. Andy Samberg and his writing and comedy partners Akiva Schaffer and Jorma Taccone haven’t had a ton of success with the critical crowd in their big budget releases in the past, either with their combined efforts or solo projects. Hot Rod (40%) was a joint effort that has its niche crowd for sure - though Schaffer’s directorial debut with The Watch (17%) bombed hard. I think this one comes out right around the middle of the pack. Some will probably think it too stupid for words, while other appreciate the satire. Enough celebrities are on board that I’m tempted to think they saw something in it. 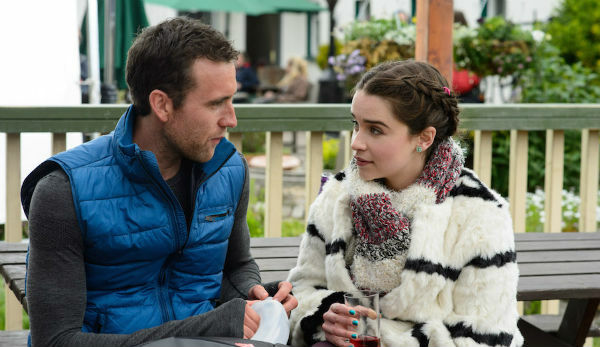 While it’s based on an acclaimed book, director Thea Sharrock’s Me Before You looks like about as vanilla of a movie as possible. A Woman, played by Game of Thrones’s Emilia Clarke, is tasked with caring for a wealthy paraplegic (Sam Claflin) and they end up falling in love. I suppose there are some stakes in that the relationship hinges a great deal on the emotional boundaries the characters struggle with because of the gentleman’s situation. And I’m sure it tugs on the heartstrings. But these movies work best when there are real-ish stakes on the line. And maybe that’s the crux: she helps him find his way out of the abyss. But either way I just don’t see it hanging on enough except the love story. I wrote the previous paragraph before looking at the Rotten Tomatoes page, and it seems that early reviews for the movie are agreeing with what I’ve said above. According to the various write-ups that have already been posted online, Me Before You is formulaic without enough to really give it any oomph. It’s easy to see that from the trailers, and this one I’m splitting right down the middle with my prediction. I can’t take a ton of credit (or really any) for coming so close on my guess for X-Men: Apocalypse (Predicted: 50% Actual: 48%). A vast majority of the reviews were already in when I was making my prediction, and began writing knowing that critics just weren’t enamored with the latest mutant offering. It makes sense. A franchise can only bring it for so long, especially if the stakes keep increasing, the characters keep changing and the scope gets wider. That looks like the case with X-Men: Apocalypse, which critics faulted for overdoing action and undercutting story. It doesn’t spell the end of the X-Men franchise by a long shot, as there’s still a lot of juice there, but it does speak to how a franchise can begin running out of steam at some point. Meanwhile, Alice Through the Looking Glass (Predicted: 39% Actual: 28%) fell just out of range, though, I had the tenor of reviews correct. Only missing by a percentage point by my self-subscribed "success" metric feels fine. Speaking of franchises, here’s to hoping there’s an end to this weird, acid trippy mess. The books are overrated and the movies just look weird without being nuanced. They seem to be more an excuse to get some CGI going and Johnny Depp to freak everyone out with his makeup. Next time around we’ve got a big one with The Conjuring 2, Now You See Me 2 and Warcraft. It’s gonna be a Rotten Week!